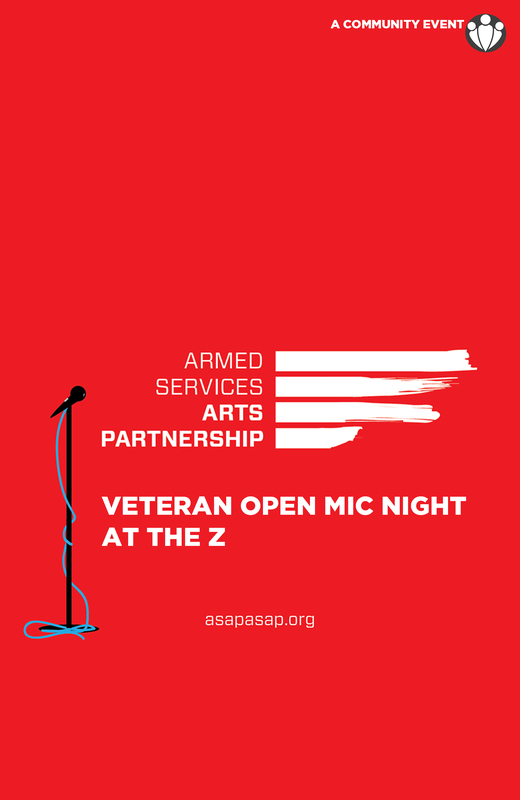 The Armed Services Arts Partnership (ASAP) and The Z are excited to bring open mic for veterans, service members, and military family members. This open mic will be open to all types of performers – from comics to storytellers to musicians – and it will provide a platform for veteran artists to showcase their talents, express themselves, and have their voices heard in front of members of the local community. We invite all veterans, service members, military families, and caregivers to apply to perform or read their work. All performance spots have been filled, but we encourage you to come out and support these veterans! This event is $5 suggested donation at the door. All proceeds from ticket sales will directly support the programming of ASAP and The Z, respectively.